In a world of superheroes and villains, Saitama appears to be a plain man -- from his lifeless expression to his sluggish personality, nothing stands out. But once danger strikes, he’s an insanely powerful superhero that can take down villains with a single punch! Although his strength keeps the city safe, Saitama can’t help but grow bored with how easily his opponents are defeated. One day, his path crosses with the young cyborg, Genos, who wishes to be Saitama’s disciple. 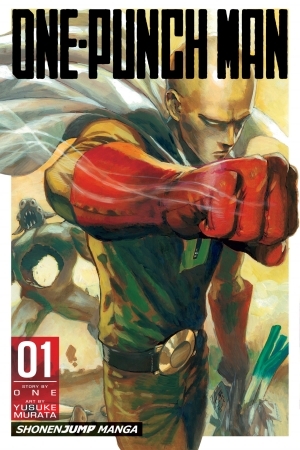 Thus a new chapter in Saitama’s life unfolds, opening up this action-packed seinen comedy of an average-looking man craving excitement and popularity in his “hobby” of being a superhero!